When Aaron Halbert and his wife were dating, they were drawn together because both of them wanted to adopt. They’re both fertile, but decided that they would rather adopt. The couple first adopted an African American son, and then a biracial daughter. The Halberts didn’t feel like their family was complete quite yet, so they started exploring the option of embryo adoption. 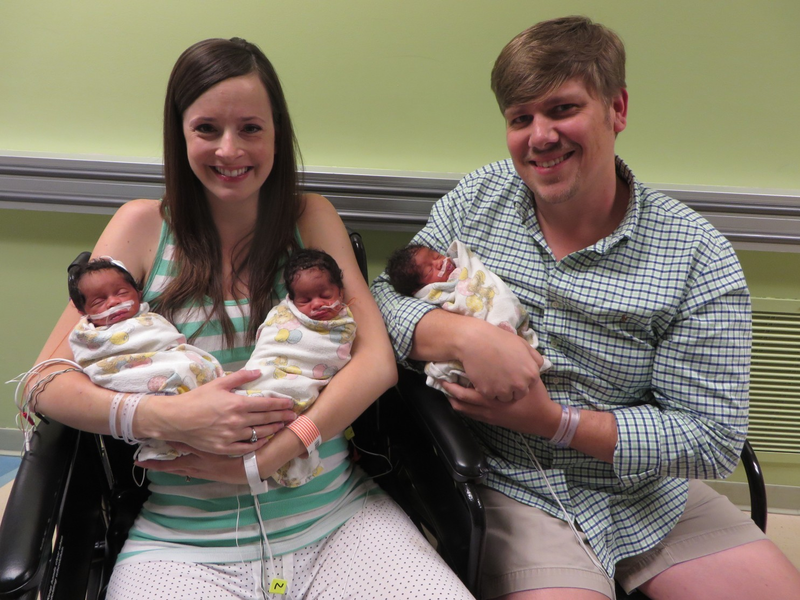 They adopted and implanted two African American embryos in September of last year, one of which split. Now the couple has added three new, beautiful babies to the family!